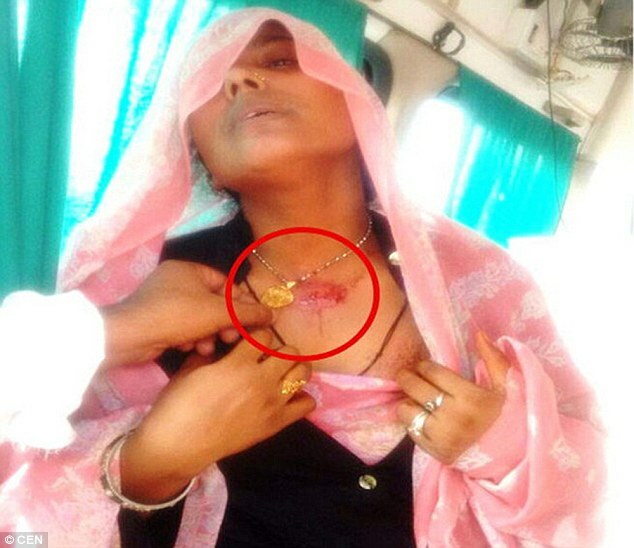 A Muslim woman allegedly shot in the throat by her brother survived after the bullet struck a metal locket that she was wearing round her neck. The incident happened when Mohammad Nayeem reportedly hatched a plan to kill his sister Shabnam and armed himself with a gun to avenge the family's honour after she decided to marry for love and rejected her family's wish for an arranged marriage. The bullet that was fired at the woman struck the gold-coloured locket that she was wearing. Medics who treated the young woman said that had the locket not stopped the bullet, she would very likely not have survived. Police however said they have not yet acted as they are waiting for a complaint to be registered by the injured woman, who although not seriously injured, is still being treated in hospital.